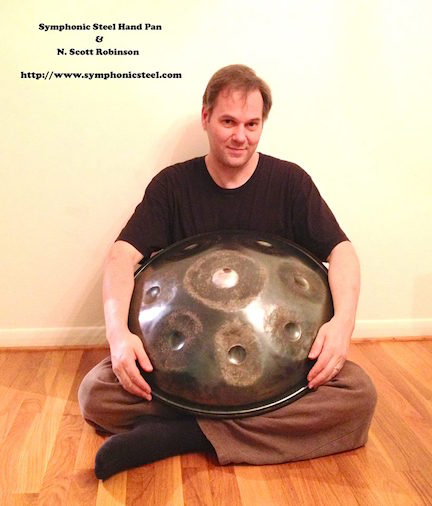 Originally invented in Trinidad and Tobago, the instrument is made from a 55-gallon oil drum. The top of the oil drum is cut off and the bottom is hammered down and then little sections on the bottom are made for playing. Each section is in turn hammered up making the metal tighter until it takes on a pitch. Small sticks wrapped with rubber are used for playing while the steel pan is hung from a stand. This particular version is tuned to a F major pentatonic scale and custom made in Germany by ECS. 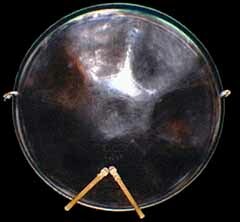 The Handpan is a steel drum played by the bare hands. 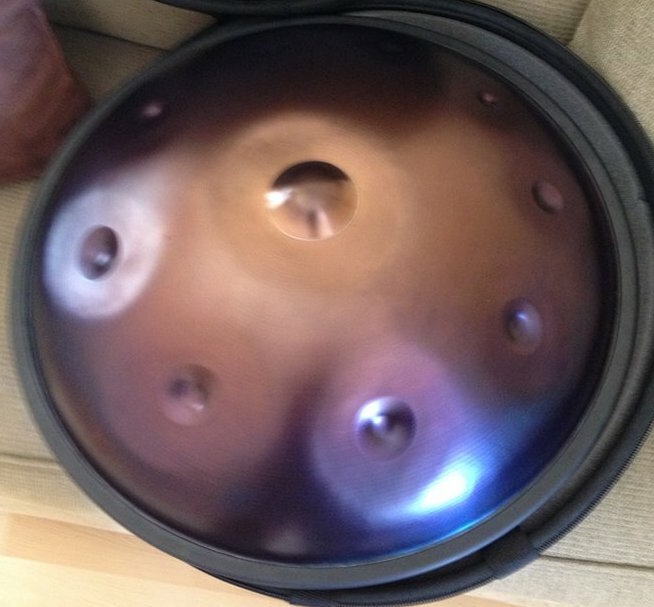 I have two made by Symphonic Steel. The middle one is a G Russian Major tuning = G, B, C, D, F#, G, B, C, D, E.
The bottom one is lower in a C Golden Gate tuning (Lydian) = C, E, G, B, C, D, F#, G.